As I started using proper Milwaukee restaurant suppliers, all I could think is “my customers need to know about these companies.” Sure, they mostly cater to big buyers, but all of these Milwaukee businesses are perfect for you, too. Boelter is a supplier of all things besides the food for restaurants. Recently, I purchased all of my equipment big and small from them. Also, I use them for our packaging, from paper bags to the recyclable containers the food comes in. Boelter also has a beautiful educational kitchen and invites local chefs and food-writing authors in for classes and discussion. It’s a really fun place for anyone who likes to cook! This is a recent find for me. Dan, the owner of Tall Guy and A Grill who held this kitchen space before me, told me about Gordon Food Service. He said it would be a great place for paper towels and big boxes of pasta. Y’all, he was right! If you’re hosting a party and don’t have a Costco* membership, this store on Miller Park Way, needs to be on your errand list. Their produce selection isn’t expansive, but the canned goods, frozen meat, and paper plates are! It’s a great place to buy (cheaply!) in bulk without the Costco membership. Also, their healthy(ish) selection is on point. They have the best organic ground beef and packaged goods like Angelic Bakehouse bread, RW Garcia sweet potato crackers, and Organic Valley string cheeses. We also stock up on nuts, bacon, and black beans from this store. I met Jamie, one of the salespeople for Redwall Screen Printing at the Wisconsin Restaurant Association event last year. He was so patient as I took for. ev. er. 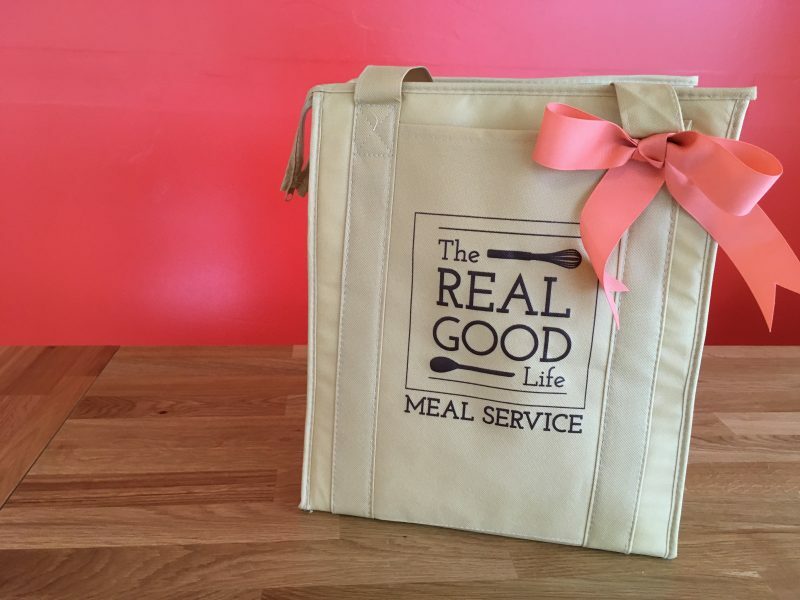 to finally get around to order our awesome cooler bags. Since then, we have also used Redwall for our uniform t-shirts and other tchotchkes. Redwall is the best local printing company for shirts for your volleyball team, hats for a work event, or goodie bags at a family reunion. They do a great job to find something within your budget and timeframe. Ask for Jamie if you call and tell him we sent you. Okay, so Home Depot isn’t necessarily a restaurant or even just a business supplier, but I wanted to give them a shout out. Lest you think starting a business means a secret society of businesses only the pros know about… Nope. The exercise of getting this space up to snuff taught me that Home Depot really can answer a lot of questions. Before this, I was a dedicated customer of a paint store. That was until I realized that Home Depot puts out just as nice of paint for about $20 less per can. I’m not painting the Taj Mahal. If you aren’t either, definitely just get your paint here. Also, we used their order ahead service to buy all the super non-fun stuff like garbage cans, metal shelving, and mop buckets. Again the prices couldn’t be beat, but also having everything ready to roll was so nice! Pro-tip: If you don’t like your local Home Depot, try another location. Randy will drive out of his way to go to the one in Grafton or out on Capitol. I’ve found the one on Port Washington Rd. in Glendale to serve my needs perfectly. I hope you find these restaurant suppliers can make an upcoming project a little easier. That’s what we’re all about, right?